Sounding the poll bugle in Punjab, which will go into assembly polls in 2017, Prime Minister Narendra Modi, on 25 November, asserted that the welfare of farmers was his main concern and vowed that his government would ensure that the Indus River, which is in dispute with Pakistan, will flow again in the state and provide relief to farmers. Speaking at the foundation ceremony of All India Institute of Medical sciences (AIIMS) in Bhatinda, the Prime Minster asserted that the river belongs only to India. "The fields of our farmers must have adequate water. Water that belongs to India cannot be allowed to go to Pakistan. The government will do everything to give enough water to our farmers," he said. He, however, justified that this was not a political gimmick to seek votes rather concerned about the welfare of the farmers. "For me, elections do not matter. 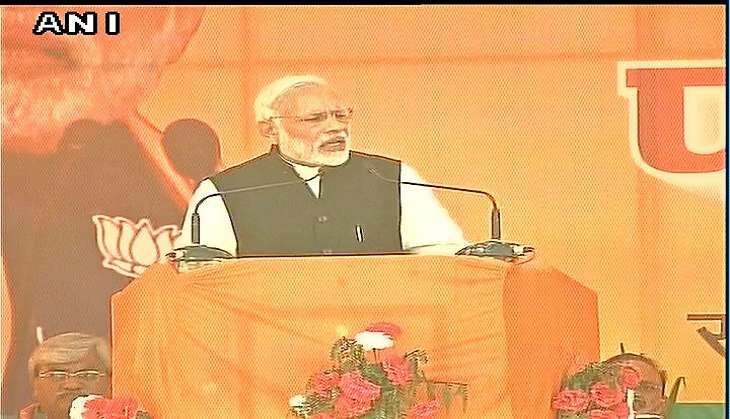 I am more concerned about the welfare of the farmers," Prime Minister Modi said. The Prime minister's remark can be attributed as a response to India taking strong objections to the World Bank's decision to set up Court of Arbitration and appoint a 'Neutral Expert' to go into Pakistan's complaint against it over Kishenganga and Ratle hydroelectric projects in Jammu and Kashmir. India maintained that it was "legally untenable" to set up two parallel dispute mechanisms. Vikas Swarup, Official spokesperson of Ministry of External Affairs had said that India had asked the World Bank to appoint a Neutral Expert, while Pakistan demanded a Court of Arbitration to resolve the dispute. In the wake of the deadly Uri attack in September, Prime Minister Modi had also held meetings with the Water Resources officials, External Affairs Ministries and the PMO to discuss the government's options on the India-Pakistan Indus Waters Treaty. Under the Indus Waters Treaty signed between India and Pakistan and also the World Bank in 1960, the World Bank has a specified role in the process of resolution of differences and disputes.